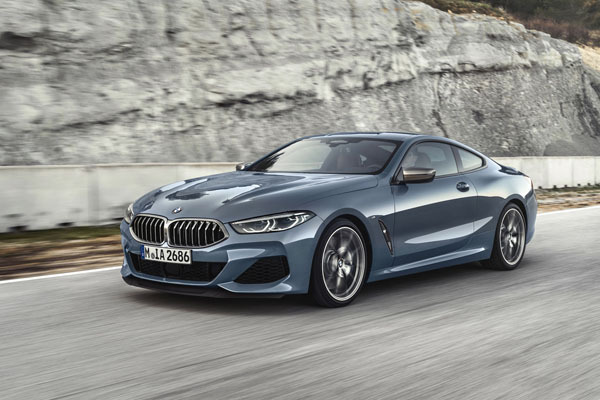 Detailed official photographs of the new BMW 8 Series Coupe have finally been released. The big Coupe itself won’t be launched in Germany until November this year and is unlikely to reach us Downunder for several months after that. The most distinctive feature of the big Bimmer Coupe’s styling is the roofline flowing into the rear with a distinctive “double-bubble” tail. Slim headlights flank a very large kidney-grille. Slim is again the name of the game in the rear lights that sit in a large aerodynamic tail. The deep indentations on the side also make a statement. Overall, top marks for shape as displayed – though we will wait till we see one in the metal before giving our final approval. Inside, two large screens provide driver information, with the instruments being very sporting in their round shape. The sports seats are in Vernasca leather. It’s great to see BMW hasn’t gone the supercar look – that’s been left to the BMW i8 – the company’s futuristic petrol-electric hybrid. Rather the 8 Series is a bold grand tourer in the true sense of the term ‘Gran Touring’. 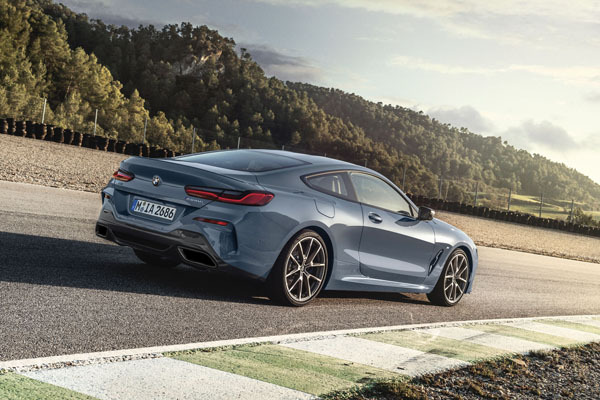 At this stage BMW is giving us details only on two models, the M850i Coupe powered by a newly developed 4.4-litre petrol engine V8 using TwinPower Turbo technology. It provide up to 530 hp / 390 kW of power and 750 Nm of torque. BMW tells us its M850i xDrive Coupe accelerates from zero to 100 km/h in just 3.7 seconds. The BMW 840d xDrive Coupe using a 3.0-litre six-cylinder in-line turbo-diesel unit with TwinPower Turbo for 320 hp / 235 kW and 680 Nm from 1750 rpm. The sprint to 100 km/h takes only 4.9 seconds. A sports version of the BMW eight-speed Steptronic Sport is used. So great is the torque from these engines that they need to drive through all four wheels, using a complex electronically controlled version of BMW’s xDrive setup. 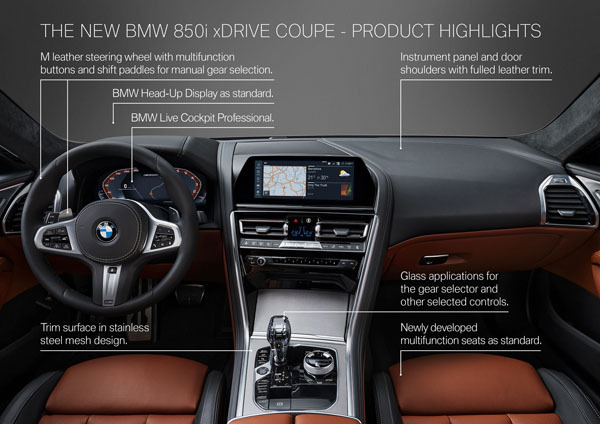 The 850i has an electronically controlled differential lock. We are assured the rear-biased set-up guarantees the sort of driving experience keen BMW drivers love. This information is directly from BMW’s head office in Germany and there are no Australian specific details. It’s only speculation … but can’t really see the diesel coming here, at least not in the high-performance variant. Stay tuned for further information on the new BMW 8 Series Coupes as they come to hand. Eventually followed by road test reports when we can get our backsides into their leather seats.